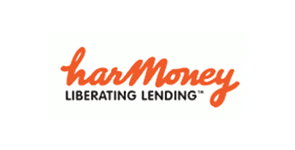 The Financial Markets Authority (FMA) has granted New Zealand's first peer-to-peer lending licence to the Auckland-based Harmoney. Online peer-to-peer lending, or payments, platforms - as intermediaries - will match lenders with borrowers seeking loans for personal, charitable, or small business purposes and receive fees for doing so. Harmoney's one of a handful of companies that has said it would be applying to the FMA for a licence. The applicants are pledging lower interest rates for borrowers, and substantially higher rates for investors than those offered by bank deposits. Banks' personal loans, credit card business and deposits are in their sights. The passing of the Financial Markets Conduct Act last year enabled the development of peer-to-peer lending in New Zealand. See all our stories on peer-to-peer lending here. “This is a new service for New Zealand that brings new opportunities for lenders and borrowers. Peer-to-peer lending has already proved popular in Europe and US, and we’ve been able to build on that experience,” said Elaine Campbell, the FMA’s director of compliance. The FMA has been tasked with licensing peer-to-peer lending services to help facilitate new capital-raising opportunities in New Zealand. It is also part of the Government’s business growth agenda. “FMA’s role is to regulate the companies providing peer-to-peer lending services. The service has great potential but lenders should also realise the risks are greater than putting money in a bank. Lenders can lose money or not get the interest they expect if borrowers fail to repay the loans," Campbell said. “To meet the required standards, service providers must provide clear disclosure for lenders and have fair, orderly and transparent processes around how they deliver their service. Applicants must also demonstrate they’ll meet minimum standards of conduct. We are available during the process to help potential licensees understand their obligations,” said Ms Campbell. “Harmoney has shown itself capable of delivering the service and demonstrated how it intends to comply with its obligations as a licensee," Campbell added. Neil Roberts, Harmoney's CEO, founder and controlling shareholder, has a background that includes being head of sales and business development at Flexigroup, and was general manager at Pacific Retail Finance, which was bought by GE Finance and Insurance in 2006. See our video interview with Roberts here. “We couldn’t be more excited to lead the charge and shake up New Zealand’s personal lending market with a new competitive and technologically advanced investment and lending platform. We appreciate how well the Financial Markets Authority has managed the regulatory process," said Roberts. ”Harmoney has a fully compliant online platform that automates the process of investing and borrowing. The system is fast, easy to use and offers a marketplace in which to transact with bank grade security," Roberts said. "This investment in people and systems has paid off with Harmoney being the only peer to peer platform in New Zealand to obtain licensed status,” Roberts added. Campbell told interest.co.nz Harmoney had a couple of minor conditions attached to its licence that it must satisfy around confirmation of certain directors. "And (then) they are good to go. From a regulatory perspective they (Harmoney) have met the mark," said Campbell. The FMA’s role has it licensing peer-to-peer lending services and monitoring their ongoing compliance with legal obligations and licence conditions. Borrowers using the service will not be individually checked by the FMA. But Campbell said the Financial Markets Conduct Act prohibits borrowers from making false or misleading statements, or unsubstantiated claims. "Peer-to-peer lending services must exclude borrowers from using the service if they have reason to believe the borrower is in breach of these obligations," said Campbell. "The peer-to-peer lending service must be a member of a dispute resolution scheme, which customers can use at no cost, and must also have a complaints handling process." "Under the regulations, borrowers are limited to raising no more than $2 million in any 12-month period through peer-to-peer lending services. This limit applies to both business and consumer borrowers – although individual service providers may impose lower limits on the amount that may be borrowed. The regulations don’t impose any limits on the amount lenders can lend, although some service providers may impose limits. Lenders should remember they may not be able to withdraw their money at short notice," Campbell added. The FMA has also made this information available; Tips for lenders and borrowers – a Guide to Peer-to-Peer lending. And; How to apply for a peer-to-peer licence. And here's Harmoney's press release. I am sure these guys know what they are doing and their risk management models are robust . I would be interested to understand the funding model, how it works and the expected yield for lenders. Also the loan documentation that goes with this is quite complex , who pays ? I personally don thave the apetitie for this , so its not for me . A further question , how is GST dealt with on the fees , because the fees plus GST may make it unattractive from a lenders point of view ? Hi Boatman, thanks for your comments and questions. With regards to your question about our funding model and syndication, our model uses fractionalisation, breaking each loan into $25 "notes", allowing investors to spread their funds across multiple loans, minimising their exposure to risk and allowing spread across risk gradients. Each investor will be ranked equally. Harmoney will act as a facilitator in the process - hosting the financial marketplace and overseeing the administration of the loans. Borrowers make regular repayments which are divided among those who invested funds in the loan, so investors recieve repayments regularly over the 3-5 year loan duration, and have the option of reinvesting or withdrawing those repaid funds. As far as the competitive space goes, Peer-to-Peer Lending, overall, has shown a competitive advantage over the banks due to its low cost model which contributes significantly to its ability to deliver fair rates, and its world class credit risk assessment. It is a higher risk investment than a term deposit at the bank, but we do our utmost to mitigate those risks, and the flexibility we give to investors through fractionalisation allows for a high rate of customisation. Lending Club (U.S.'s largest platform) announced this morning that they've funded $1b worth of loans in the last quarter alone - so it's certainly booming overseas. The industry doesn't expect to overtake the banks - not by any stretch of the imagination - but they're taking notice. And for your gst question, all of our fees are inclusive of gst (where applicable). Long comment, but I hope it answers your questions! No worries, hope it was informative! I wonder what the maximums and the rates are? Nothing on the site. seems like the pre-approval is limited to 35k borrowing, no mention of rate or period ! There will be more specific information on our website soon now that our licence approval has come through. Our loan range is $4,000 - $35,000, and borrowers will be able to choose from 3 to 5 year periods. Our rates are individually assessed based on each borrower application - again, you'll be able to see our full rates scale once our full website goes live soon, but they will typically average at a lower rate than what borrowers are able to get through traditional financial intermediaries, and will be a reflection of the borrower's risk. Correction: Apologies, the minimum loan amount is $1000, not $4000. Herald article this morning says that borrowers would be mainly'middle NZconsumers"who wanted loans for cars ,funerals,weddings and debt consolidation.Borrowers will be charged 2 to 5 %of the total loans value.Sounds like INSTANT FINANCE to me. 2 to 5% ? per what? just a number is rubbish information, it's noise. 2 to 5% per month? ouch? hard to find a worse loan shark. 2 to 5% per annum? sweeet? 2 to 5% over the lifetime of a 10 to 50 yr loan? hell yeah sign me up. The borrower fee is a 2-5% one-off origination fee per loan - so it won't be charged monthly or annually, but simply added on top of the total owed when the loan funding is dispursed. Our loans are currently planned to be for 3-5 year terms. It also says lenders could expect an average return of 12%.The 2 to 5 % mention above is a fee charged by Harmoney.I would expect interest rates for borrowers to be 20 to 30%based on what i have read. Harmoney's interest range for borrowers will range from single digits to the thirties, with each borrower individually assigned based on a thorough assessment of the information provided in their application, and their credit history. That way each loan reflects the risk of the borrower, and the risk taken by those who invest in their loan. To answer your above comment as well, the P2P lending model is different to both banks and finance companies - P2P platforms act as intermediaries that host a financial marketplace, matching borrowers and investors and facilitating the loan process. Hope that clarifies any queries you had. If a borrower goes into arrears or worse defaults what remedies do you have? Harmoney has a structured, regimented and proactive collections process. If a borrower goes into arrears, they will be charged a late payment fee which is paid directly to investors in compensation for the late payment. Should borrowers default, Harmoney will take appropriate action. For investors, our estimated returns are risk adjusted and net of fees and expected loan defaults. It's important to understand that defaults are part and parcel of this asset class. However because we expect them, we are able to do our best to mitigate that risk. An important aspect of our process is fractionalisation. We break every loan into $25 "notes", allowing investors to spread their risk across numerous loans. This way, investors are able to lessen the impact of any defaults that do occur. what sort of gearing ratios are permitted under FMA registration. what happens in situation of default. finance is as much about collection processes, and mitigating risk on the downside. i see nothing here that talks about this facit. p2p appears to me to be the debenture model in disguise. Looks like a variable rate tied to the particualr risk. So if you want a "guaranteed" return your interest is low(er) as your money is klent tp ppl who are very likely to pay it back. If you insist on a high interest than that is lent to "high risk" individuals with the potential of a capital loss. I quite like the theory of this idea, in that it exposes the lender to the true risk v return. Whether its workable is another matter. That's pretty much how it works - the higher the return, the higher the risk. Investors have the ability to take full control over the risk/return level of their investment. As for whether it's workable - take a look at some of the international platforms. Lending Club in particular has been incredibly successful. Loans in the platform are 100% funded by investors on the platform - Harmoney acts only to host the marketplace and facilitate the process. We use fractionalisation to chop up every loan into $25 "notes", allowing investors to select the number of notes they wish to fund, and spread their risk across numerous loans and numerous risk grades. All of Harmoney's predicted returns are risk adjusted, net of fees and expected defaults. This is strengthened by fractionalisation - if investors spread their investment across the maximum number of loans possible, the risked impact of defaults on the performance of their investment can be minimised. Our assessment of borrowers in the loan approval process is thorough and world-class, developed in house by our Chief Data Scientist. Harmoney has a robust and proactive collections management process. Investors pay a service fee of 1.25%. This covers collections for current accounts. If accounts go into arrears, this percentage will increase to cover the additional collections activity. Borrowers who go into arrears will incur a late payment fee, and appropriate action will be taken against borrowers who default, both to recover costs and lodge their records as defaulted with credit bureaus. The Harmoney team does have a proven track record - with many members of the management team working together as core members of Pacific Retail Finance and FlexiGroup. Both of those businesses had strong track records for collections and risk management, and we believe that the process developed for Harmoney is even stronger. There is no gearing used in Harmoney's business model - all loans on our marketplace are, as above, 100% funded by investors on the platform. So, P2P is not a debenture model in disguise - investors can have full control over exactly where their money goes, and their return is based soley on the performance of their individual investments. Hope that clarifies your questions - please don't hesitate to reply if you have any further comments or queries, I'm happy to answer them. What is the story regarding offsetting losses against income? Is it, as I believe it is in the UK, that there is no ability to claim tax relief on loan losses? As a disclaimer, we can't make specific comments to an individual's tax status. Each investor should seek advice on their personal tax matters from a financial advisor. Generally, retail investors will not be able to offset losses against tax. Those "in the business of investing" for tax purposes may be able to offset losses against interest income.